josippie: My husband and I have invested in Vanguard's funds for many years, including for our grandchildren's college fund. I want my investing to be socially conscious. Morally and ethically, I do not want to invest where in order to profit, I would be aiding the destruction of our life-supporting earth. Please create fossil fuel-free versions of your index funds. 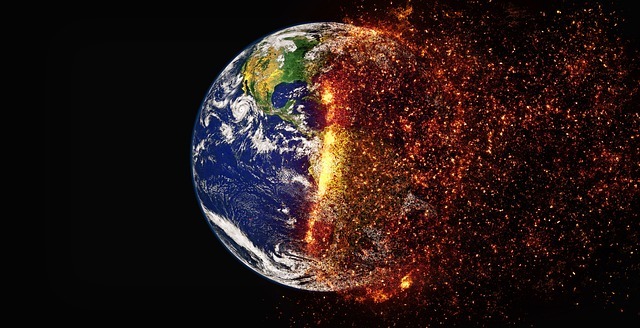 The UN climate report says we have 12 years to dramatically change the way we live if we want to avoid climate catastrophe . This has both moral and financial implications for fossil-fuel investments. Morally, it is wrong to support the fossil-fuel industry, which knew decades ago that its actions would cause climate change and engaged in a massive disinformation campaign instead of taking responsible action. Financially, it is inevitable as the world transitions from fossil fuels to renewable energy that the value of fossil-fuel companies will decline. Indeed, it is arguable that this has already begun--the energy sector is lagging the rest of the market. Coal investments have tanked completely; can oil and gas be far behind? Many investors want to "green" their portfolios, but also believe in Vanguard's low fee, index-driven investment strategy. Vanguard should give these investors the option to choose fossil-fuel-free alternatives to its index funds . It should start by offering versions of its 10 largest index funds minus the companies in the Carbon Underground 200 list of fossil-fuel companies with the largest reserves . This will both add to the pressure on the fossil-fuel industry that already has been created by the divestment movement  and give climate-conscious shareholders the ability to take climate action and protect their portfolios. Note that Vanguard to its credit has recently offered two ETFs that are fossil-fuel-free and meet other ESG standards. It is a good first step, but it is not enough.